It’s a cheeky Nando’s. It’s a big sesh down the gym. It’s double shots of Sambuca. It’s a scrap at closing time. It’s a few Stellas before kick off. It’s larging it in Marbella. It’s not being tied down. It’s working hard and playing harder. It’s a relentless cycle of booze, birds and banter. It’s the lad’s life. …but when everyone else is growing up and moving on, life in the fast lane gets pretty lonely. Danny’s mates are settling down. Girls are demanding commitment. His boss is onto his schemes. Even his mum’s on his case. Does the banter finally have to stop, or does a real lad just crank it up a notch? Danny is just one of the lads and constantly on the pull by any means possible, pub, or Tinder or just pure luck, his not yours. He is a love ’em and leave ’em sort of bloke, that may see them again, if they are lucky, but nothing ever serious. Danny is most women’s worst nightmare. He knows all the right things to say, he seems to care but it is all a cover because he is a wolf in sheep’s clothing. Meet them, woo them, bed them, leave them. Next! Sounds awful and I haven’t even started on his sexist and racist remarks or that he is a con man. He really isn’t much of a catch, even if he was on the market. But I asked myself, Is Danny really happy? Bloody right he is! He feels he has the world at his feet, a new girl in his bed when ever he wants and money in the bank, oh and mates, they really look up to him. Well I thought, this is different. What author in their right mind would write a character that everyone loathed? Well an author that has the confidence and talent to pull it off because it is hilarious in parts and jaw dropping in others. It was his way of thinking that really tickled me as I was privy to inside his mind. It wasn’t a pretty place to be. There were Danny’s feelings, Danny’s needs, and everything else Danny and a massive wall. 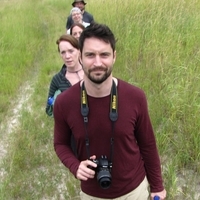 Andrew Webber is a writer of contemporary fiction based in London. 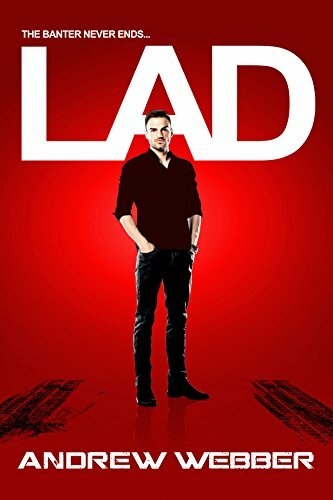 His debut novel Lad, a satirical take on UK lad culture was released in October 2016. His novella (Today) and short story collections (We Are All Lost) have common themes, focusing on the isolation and weariness with modern life felt by many ordinary people. He is a voracious reader, with a particular fascination with John Niven, Chuck Palahniuk, David Mitchell, Murakami, Alan Watts, psychology, philosophy and Soreen Malt Loaf.